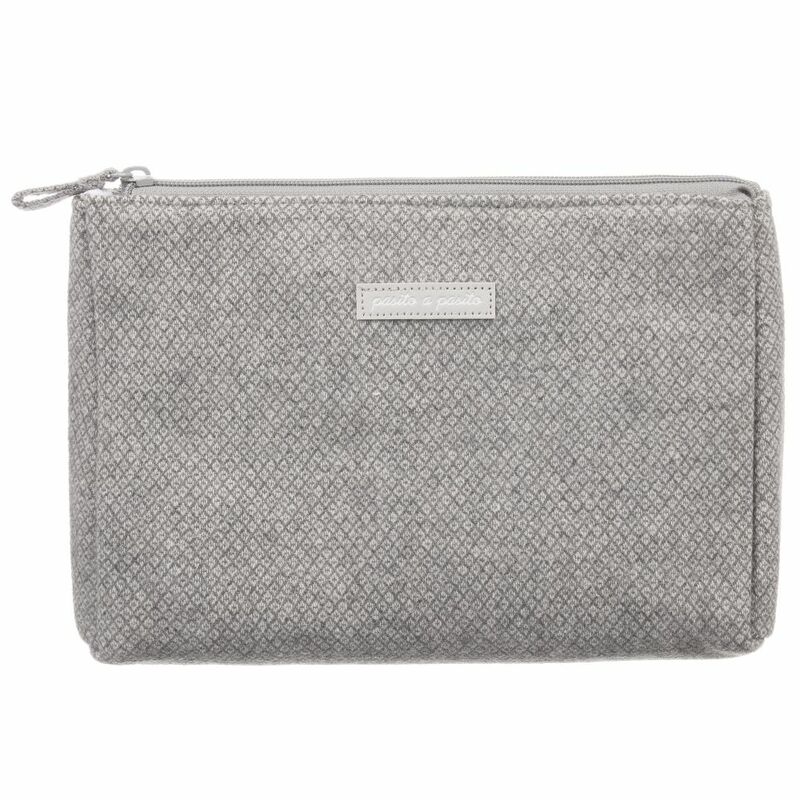 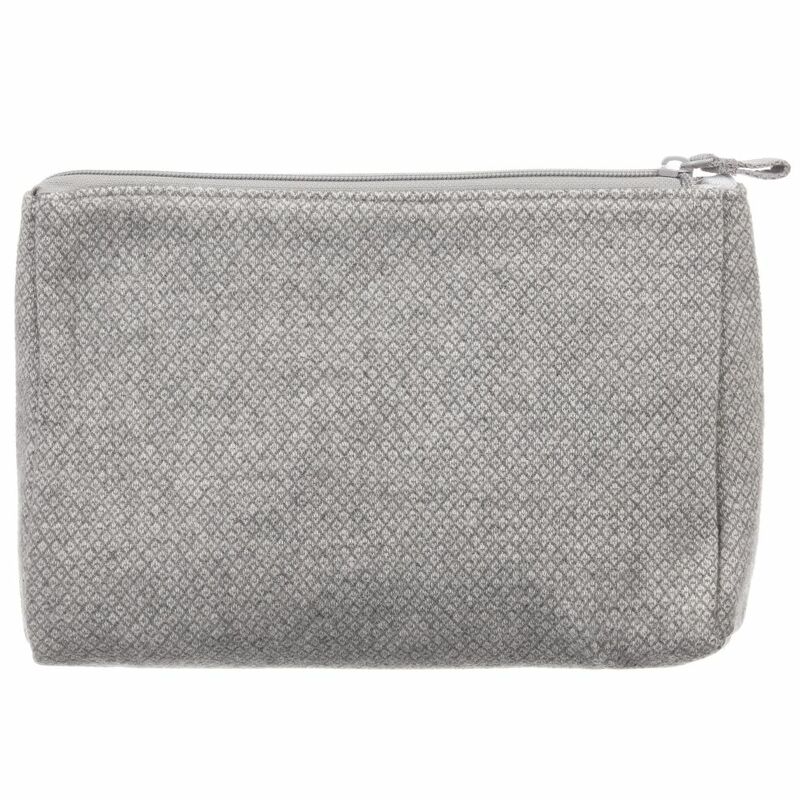 Grey Teflon coated, wool blend wash bag by Pasito a Pasito. 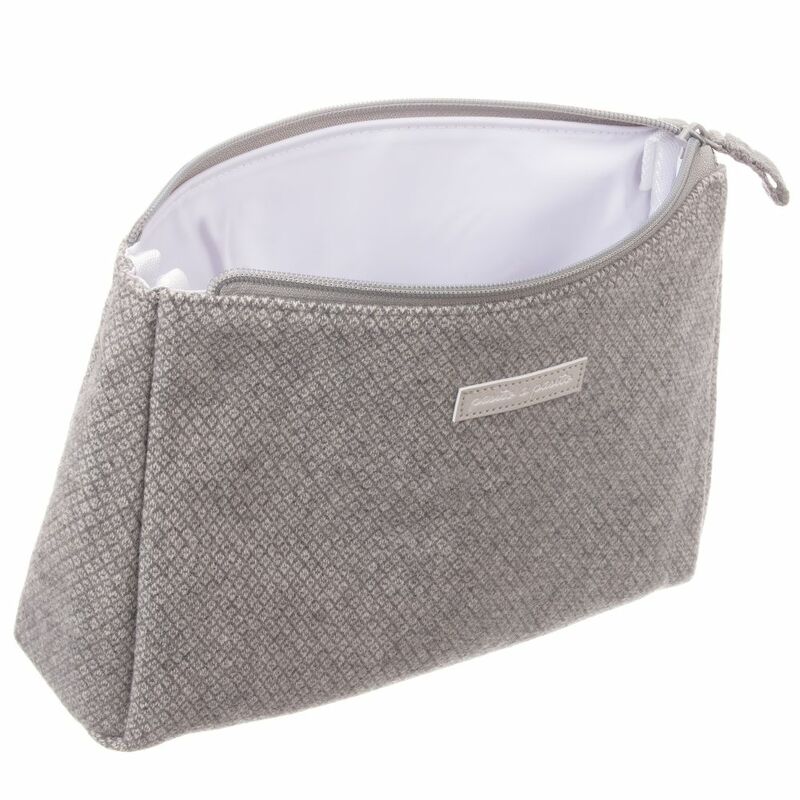 Zip fastening, It has one main compartment and a plastic lining. 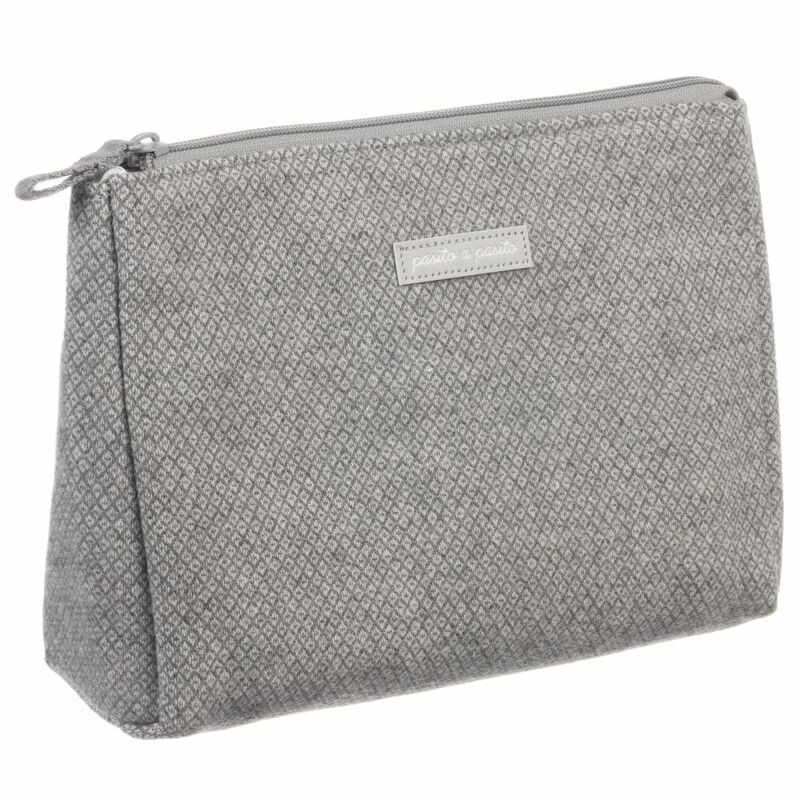 This versatile bag can be used to keep all of baby's essentials in one place, or it can be used to store older children's toiletries.